This is a Bad situation for all exposed to the Rad. Now included, for the 23rd Week of 2018 just passed, all cities above 23 Million CPM  Year to Date [YTD] of deadly Gamma Radiation. First published on Bob Nichols VeteransToday column; see sortable Table of Poisoned American Cities there. The Rad measured YTD in 2014 was 1,690,308,470 cpm. The increase in the Rad from 2014 to 2018 YTD was 10.47261646%. This is an increase in the Rate from No 22 last week. Today’s 167-day or 4,008-hour report for January 1, 2018 to June 16, 2018, is another case of Bad news from your radWeather Report. 45.75% of 2018 is gone. Within minutes or hours of publishing this list of cities over 23 Million Counts of Radiation per minute YTD, five more cities will Zoom past 23 Million Counts of deadly Gamma Radiation since January 1, 2018. Killer cell assassins, like Plutonium 239, and its brothers were never around. 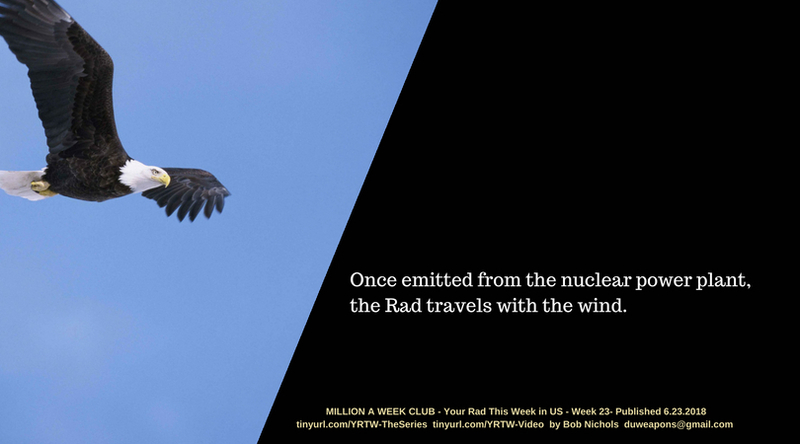 That will be 29 cities above 23 Million Rad Counts so far this year. 2018 Annualized Rate of Increasing Gamma Rad: 84,170,846 CPM, a Rate of Increase of 12.96% over 2017.